Eliza knows that she cannot allow him to live, but also doesn't want to get anyone in her life caught up in her mess, so she says nothing to know one, even when Wade Sterling gets in her face about trying to get out of attending their friends art exhibit, Eliza doesn't crack, even though he is the one person she has feeling for…its just a shame he hates her. Wade Sterling is obsessed with Eliza Cummings, but she just brushes him off, even after taking a bullet for he. But Wade is alarmed when Dane asks him to check on her before her impromptu "vacation", and finds her packing a huge arsenal. But she refuses to tell him what is going on, and Wade is shocked to see fear in Eliza's eyes! And despite her pleading and head start, Wade goes after Eliza. After all he is not going to allow Eliza to give up, even if she doesn't feel like she deserves to live, after what she has done. WOW! 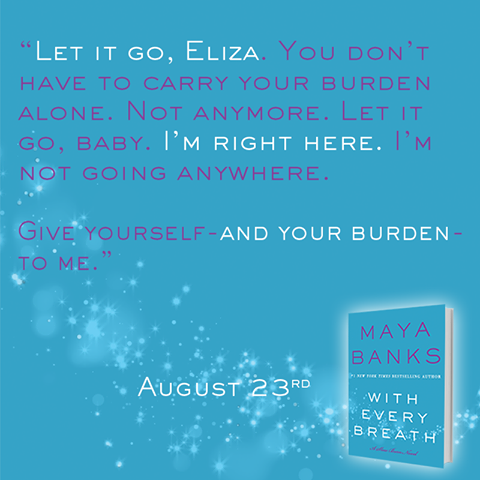 Maya Banks continually blows me away with this Slow Burn series! 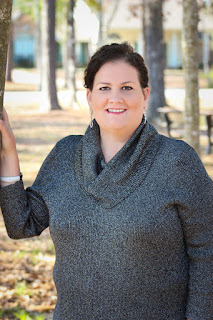 And even though it is a romantic suspense based book, I absolutely love the psychic abilities angle to these books; The author manages to write it in such a way that these psychic phenomenon is acceptable. If you have read any of the other Slow Burn books before, you would have met both Eliza and Wade's characters. Now when it came to Eliza, I would never have thought that she would have had such a devastating past; but it doesn't surprise me that she is determined to protect her friends! Wade's character was a bit of a mystery, but you can tell he honestly cares and wants to protect Eliza and for that, you can't help but love him. Now don't worry, you also get an update on all of the other DSS couples, even though they don't feature as heavily in this book. 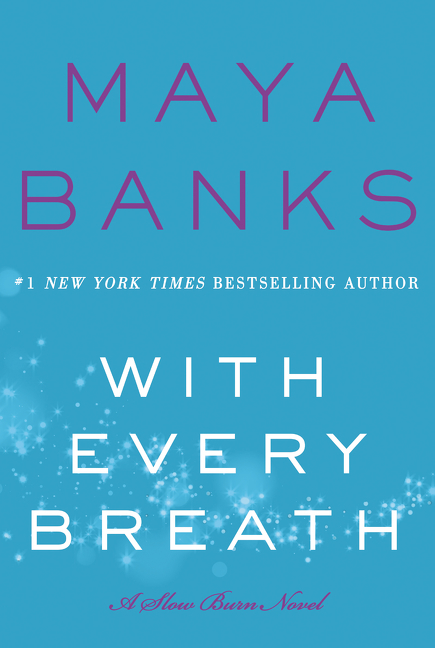 The writing is detailed, clean, smooth and everything I have come to expect from Maya Banks. The plot is well thought out and detailed and I think the author has managed to capture the true human nature of the public, with how they treat Eliza's character, even though she was just a teenager when this happened to her. Once again Maya Banks has truly blown me away with the whole Slow Burn series, but especially with With Every Breath! And I hope that this series never ends. 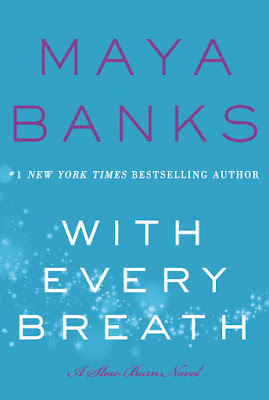 I give With Every Breath 5 stars!